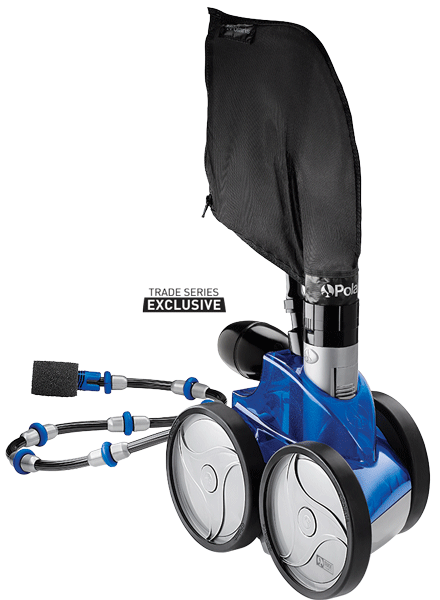 The Polaris Vac-Sweep® TR35P is a powerful pressure-side pool cleaner for all in-ground pools. Featuring the iconic Polaris 3-wheel design, the TR35P vacuums, sweeps and scrubs the bottom and walls of any size or shape pool. 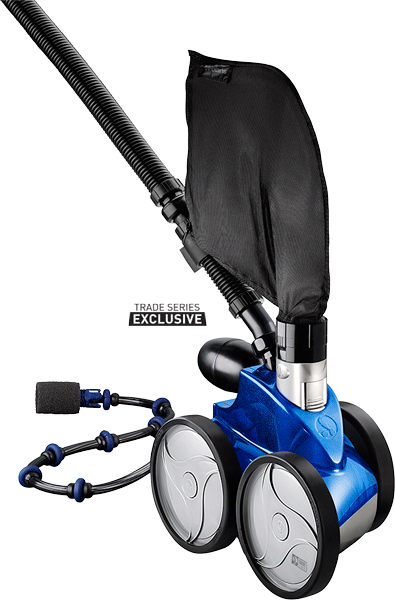 The Polaris Vac-Sweep® TR36P features advanced technology cleaning without the need for a separate booster pump. Vacuums, sweeps and scrubs the bottom and walls of any size or shape pool. In-line back-up valve automatically frees the TR36P if it gets cornered and keeps cleaning without interruption. It’s all swim, no work with the Maytronics Dolphin S50 robotic pool cleaner for above-ground pools. 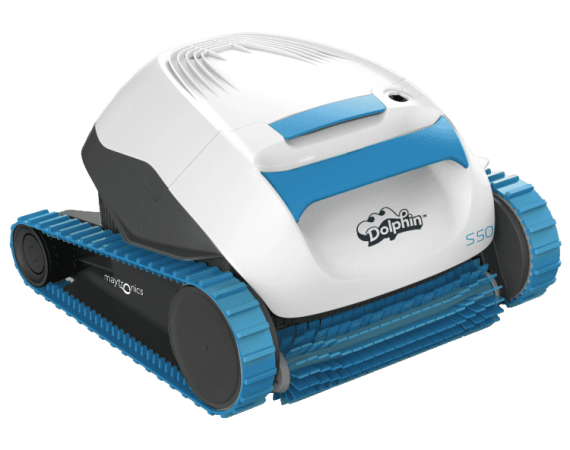 The Maytronics Dolphin S50, supported by Maytronics’ 30 years of experience, leaves your pool floor clean and the water sparkling. Easy Clean Filtration – Remove filter basket to simply rinse & reload. Still have questions?  Contact us about additional products and our factory grade installation + warranty.